Midland Group Training Services provide training and and education to industry workforce in skills and knowledge associated with operation, maintenance and management of world class manufacturing, production and machinery reliant operational facilities. Looking to add to their training equipment we were approached by Neil Russell, Centre Lead at MGTS to provide 8 machines with exactly the same specification. Fronius TIG welding equipment is by far one of the leading brands on the market we like to supply. The reliability and quality of components were the perfect choice for the training centre in Coventry. The machines supplied were Fronius 3000 magicwave ac/dc TIG welding systems complete with water cooling and foot controls. 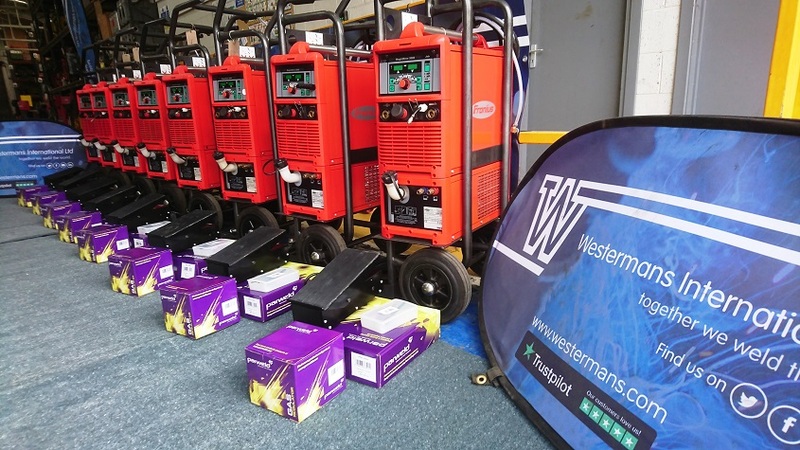 As you can see from the photo taken before we delivered they are ready for the trainee welders at MGTS centre in Coventry with new torches and regulators. With a severe shortage of skilled, qualified engineers in the UK, there’s never been a better time to enter the world of engineering. Go along to one of the Open Events and see first-hand what an Advanced Manufacturing Engineering apprenticeship can offer you. •We are seeking applications from candidates who have or are predicted to gain 5 x GCSEs (or equivalent). Grades must be A-C / 9-5 for Maths and A-C / 9-4 for English, Science and two other subjects. 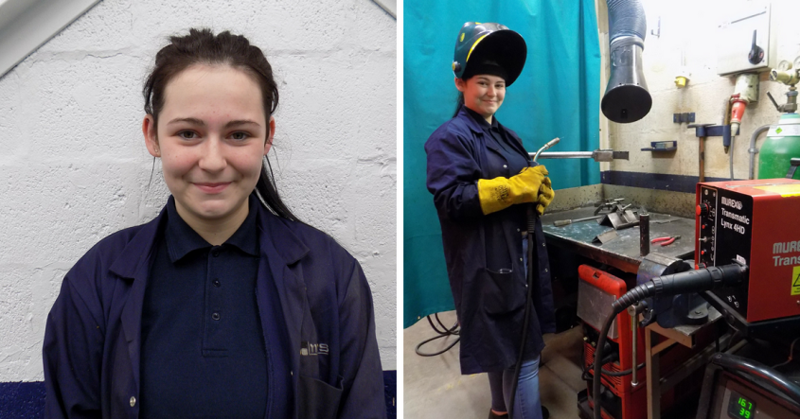 Also if you have completed AS, A Levels or BTEC National in Engineering and are looking for a challenging and rewarding career, we’d love to hear from you. Shauna chose to train as an engineer. Read her Case Study to find out why. 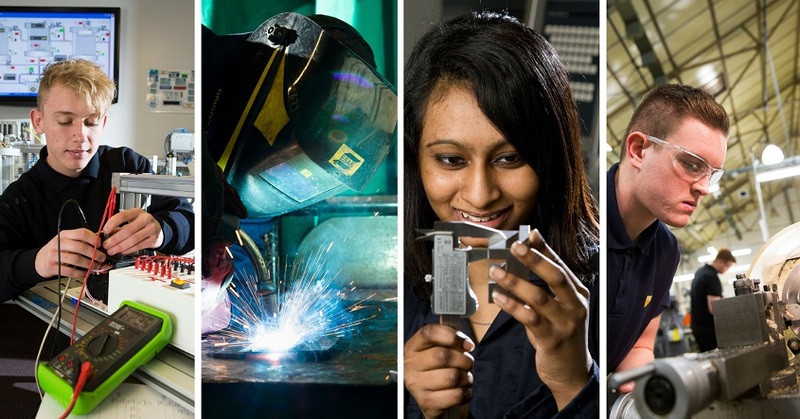 Midland Group Training Centre provides courses for experienced, skilled welders. Manufacturers are required to work to maximum capacity or risk losing their market share in today’s fast-paced, competitive marketplace. For a plant to achieve full potential its technical staff need to possess and apply high levels of mechanical, electrical, fabrication and other specialist competences. Experienced welders who require updating and also personnel who require an introduction to the welding process. Welder approval certification is available upon request (BS4872 : part 1 & 2, EN287/ASME). Practical exercises covering a variety of common joint configurations, welding positions and material thicknesses. The above covers the common core skills required to utilise the GTAW process safely and correctly. Courses will be tailored to suit individual company requirements and where possible utilise company specific components. 1 day theory plus practical days to be determined. This entry was posted in Client Projects and Updates, Westermans News and tagged education, engineering, fronius, mgts, tig welding, training. Bookmark the permalink.